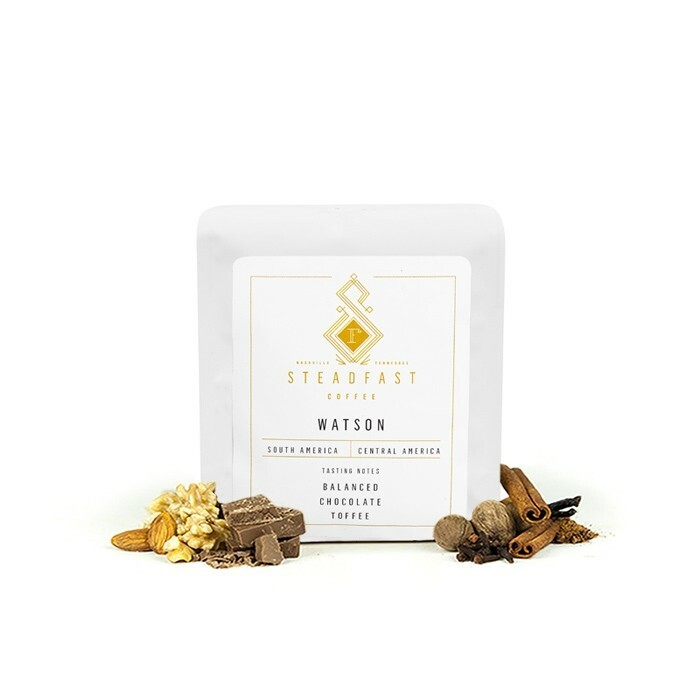 This is the Watson brought to you by Steadfast Coffee. This fully washed coffee was sourced from the growing regions of Coban, Guatemala and Copan, Honduras and was produced by the various small holder producers between 1,400 and 1,700 meters. This versatile coffee is perfect on its own and lusciously decadent with a bit of cream or steamed milk, with notes of caramel and subtle fruit toned dark chocolate. Loved this lighter blend over the holidays with family who lean toward lattes. Light notes but rich. Want to visit roaster on next trip to Nashville! Meh to Ok. Very light notes in there, not a ton of flavor. Smooth, with a good flavor. Nothing too extraordinary, but perfect for an everyday latte. Great flavors, had trouble getting a thick crema. Excellent, caramel and chocolate shine! Solid coffee...great in espresso based drinks. lacked body for my taste. I absolutely love this! The taste was very balanced an complex. The acidity was amazingly at the best range. It has a provoking taste without any sourness. Very conservative blend. Somewhat one dimensional - earthy with a muted hint of citrus. Not bad but missing zing.